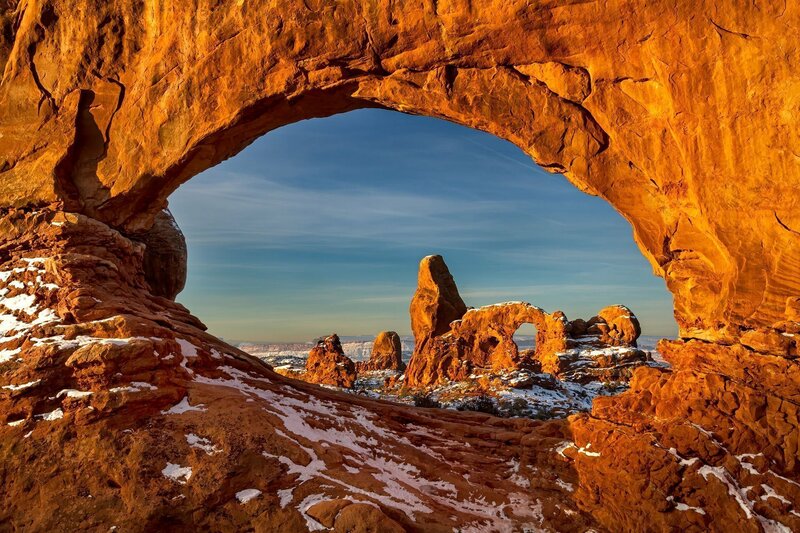 A classic early morning Winter sunrise view of Turret Arch looking through North Window in the Windows Section of Arches National Park in Southern Utah. The warm morning sun creates an almost unreal glow on the sandstone that you just have to see in person. Views like this are what keep getting landscape photographers up in the morning.